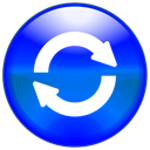 A little utility to fast reboot your Windows PC. Tired of choosing every time "shut down / restart"? Just put this little tool on the task bar and with one click you will able to reboot your PC with a single click! By default Fast Reboot perform a safe restart. This means that software with unsaved works wait for user action before closing. put this file in the same directory of the software.